Office fruit delivery to Houston! 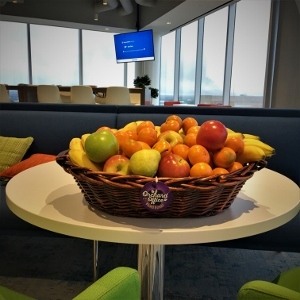 ORCHARD At The OFFICE is proud to provide fresh fruit delivery to Houston businesses. Our premium produce is perfect for both the break room and the board room! We're Texas-based and ready to serve organizations of any size. Whether you've got a staff of five or five thousand, we've got fruit delivery packages and superior customer service to meet every taste and budget. Contact us and we'll be glad to serve you! Schedule your office fresh fruit delivery online today! FRESH FRUIT FOR THE 713. 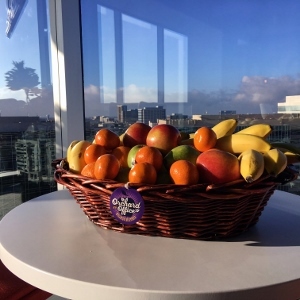 In addition to our standard offering of bananas, Jazz apples, clementines, pears, etc., ORCHARD At The OFFICE will provide your H-town business with avocados, grapes, berries...a delectable variety to keep your staffers happy and healthy! SIMPLE TERMS. There are never any contracts, so you can try us out with no commitment. We're certain our fruit and obsessive customer care will keep you coming back! We're happy to make any delivery arrangements, from one-time service for major events to daily dropoffs. We'll work with you to provide the service you need! Payments can be made by check (paper or electronic) or credit card. FRESH FRUIT SELLS ITSELF. Great taste is its own reward. ORCHARD At The OFFICE supplies the fruit guys and gals from your office will adore! Whether it's the basic ABCs (apples, bananas, clementines) or our avocados, grapes, or Sidekick mixes, we've got the tastes your businessmates crave! ANY BUSINESS, ANY SIZE. When we say we can accommodate any office size, we truly mean it. Is it just you and a couple other health-conscious co-workers? Try our Classic Mini Office Basket. 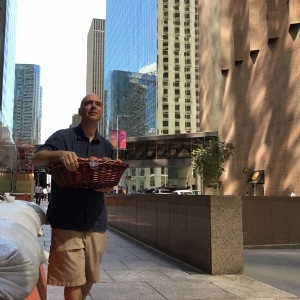 For most businesses with a staff of 30-50, our Premium Large Basket is ideal. Looking to get the best banana for the buck? We can take care of you with our Greatest Value offering or even our Fortune 600 Special if you've got several hundred onsite. Our personalized attention means we give our best to every organization!